The American Revolution is the story of an underdog nation. Determined to be free from the unfair tax laws of the British, American colonists relied on their cunning, their commitment, and their visionary leadership to win what appeared to be an impossible victory against the British Empire. 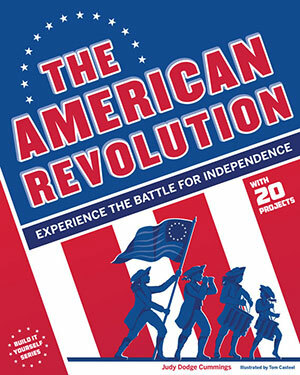 In American Revolution: Experience the Battle for Independence, readers aged 9 to 12 learn how rebel soldiers fought in horrific conditions for the sake of freedom while their families back home faced hunger, disease, and enemy attacks. Students become amateur historians as they dig into the past. Hands-on projects include designing a political bumper sticker, building a battlefield diorama, calibrating the aim of a marshmallow cannon and more. 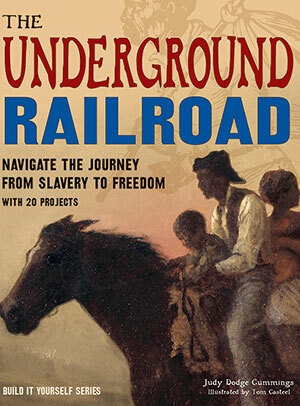 These activities engage readers’ creative and problem-solving skills, and essential questions posed throughout the book require students to use critical thinking skills to interpret one of the most important events in American history.